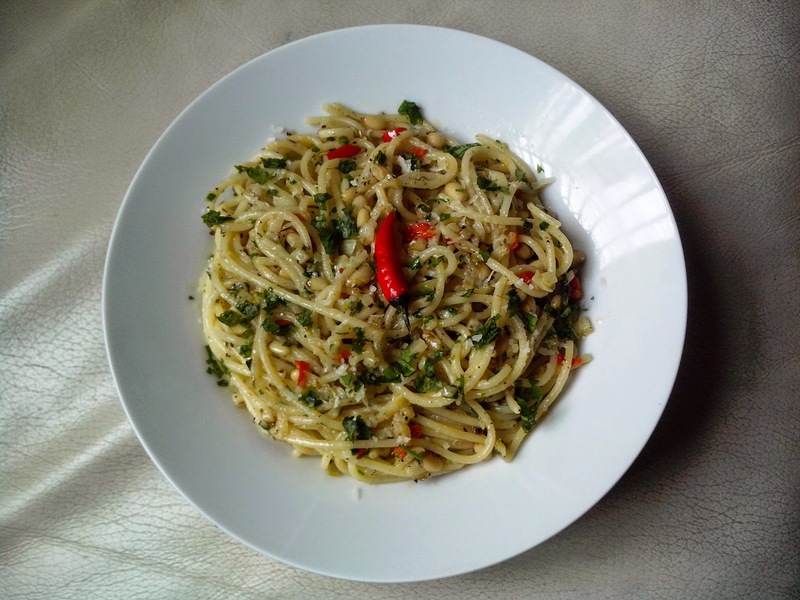 Spaghetti aglio olio e peperoncino is spaghetti pasta in garlic and olive oil with red chilli peppers. 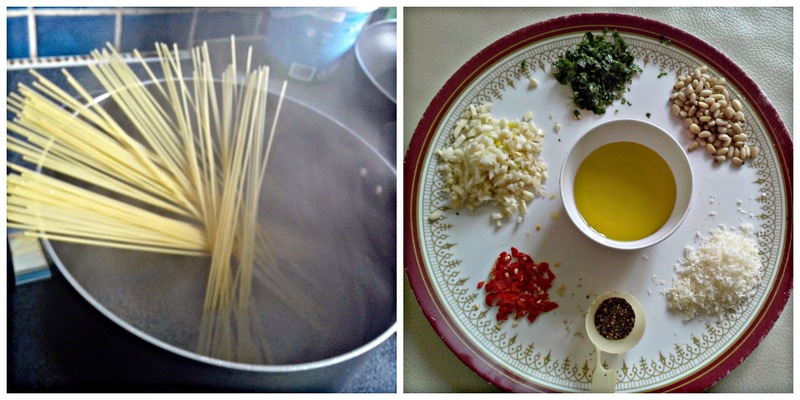 aglio is garlic and olio is olive oil.. Boil the pasta in lots of hot water as per packet instructions until al dente. Finley chop garlic and chilli. Heat a pan and add olive oil to it. Immediately add the garlic before the oil gets hot. Keep the flame very low so that the garlic is not burnt quickly. Keep cooking the garlic for 4 - 5 minutes so that all the flavours of garlic are infused in the oil. 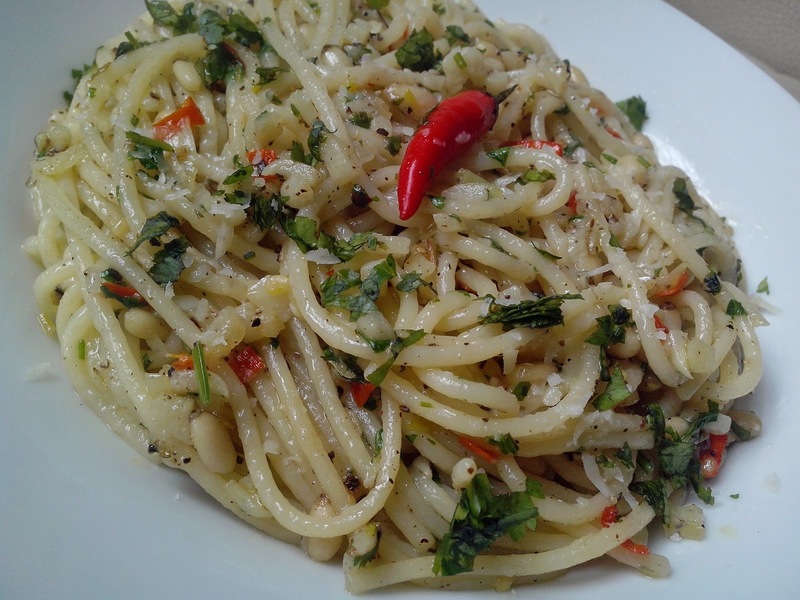 When the garlic starts turning slightly brown here and there, add the pine nuts. Adding pine nuts i purely optional, but it gives a nice crunchy bite to the pasta. Add the red chilli and saute it along with garlic and nuts for another minute. Make sure flame is low so that nothing is burnt. Drain the pasta and add it to the pan. Toss it well so that it is coated well with the olive oil. Add the parsley and grated Parmesan. Mix well. You can add crushed pepper optionally. 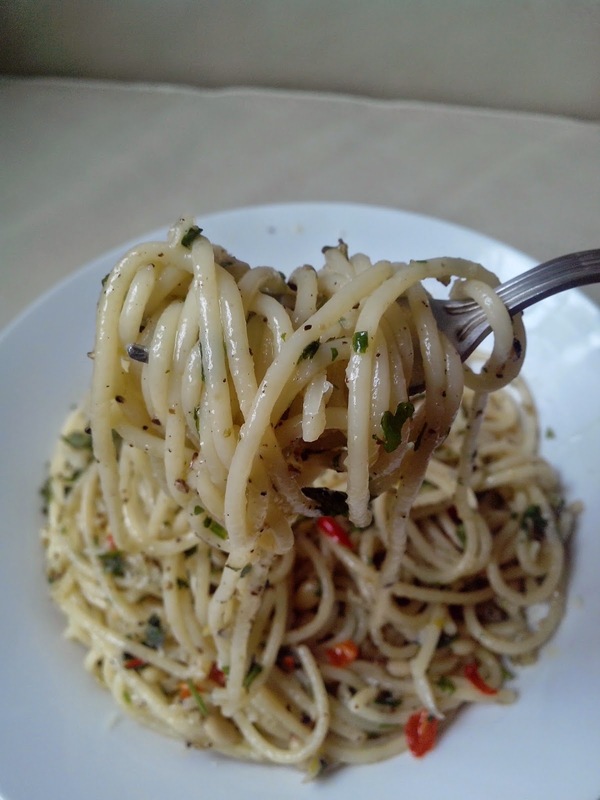 Transfer to serving plate and sprinkle some parsley and parmesan on top before serving. 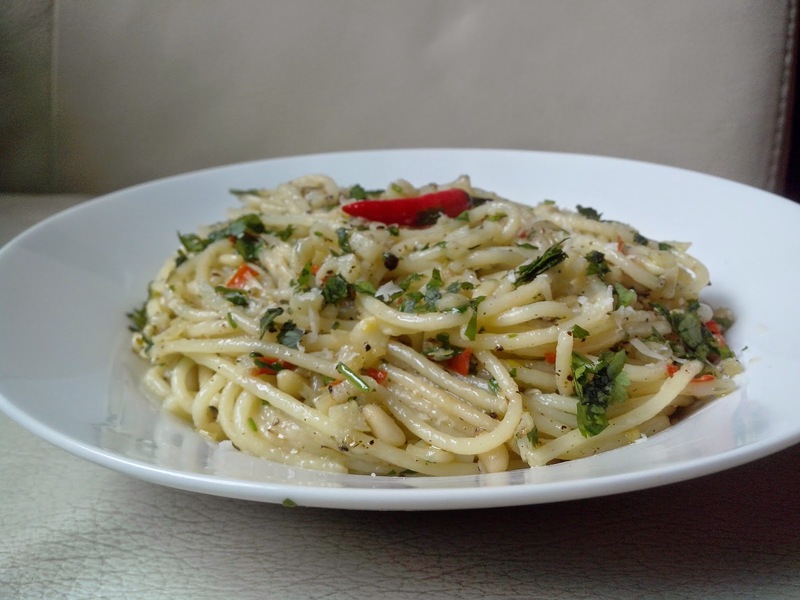 Hope you enjoy making this another simple yet delicious Italian dish.. See you soon !